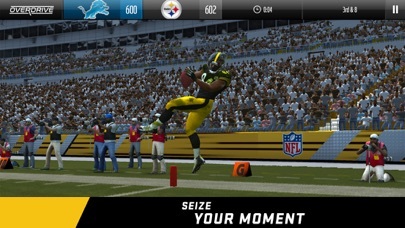 I love madden mobile because it’s so much fun but there are a few things that could make it better. Individual player stats: this would be great because it makes the game seem and feel more realistic as if you are actually a football team manager and you also get a feel for how good you are at playing the game itself. 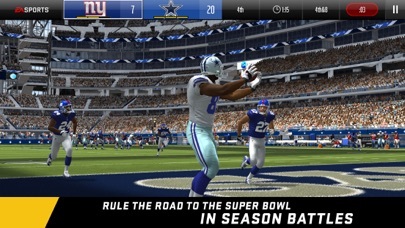 Moral booster: I think a moral booster makes the game more realistic, like(for example) if you are leading 32-16 and it’s fourth quarter your team gets the upper hand mentally and all their stats are boosted temporarily. 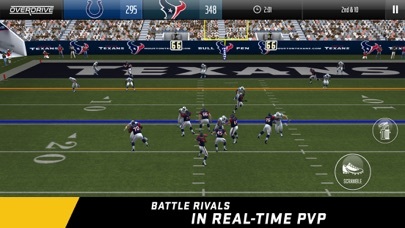 Bring back the old season gameplay: no offense, but the season mode in madden overdrive is absolute crap. 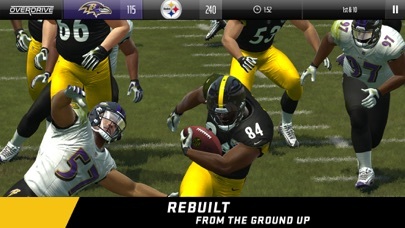 The old season mode was really fun because it seemed real and it had an actual football season. Uniform change: so in the game I had changed my uniforms, but the uniforms ONLY SHOWED UP IN THE MULTIPLAYER MODES, I REALLY DISLIKE THIS, I had worked hard to earn the uniform change just to only see it once in a while. Please fix this, I like the new uniforms I got and I want them to show up in every single game, not just in multiplayer but in single player too. The Overdrive Update is HORRIBLE. They should make at back to what it was BEFORE this TRASH Overdrive. 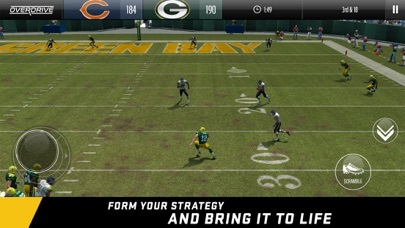 I loved The NFL Madden Mobile Games But now the Madden Overdrive is Nit as fun and Is Very confusing to me.